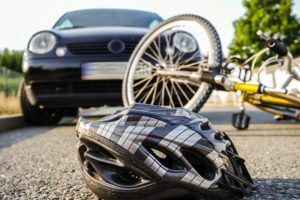 If you enjoy riding your bike around San Diego, then you are probably familiar with the fact that, like most places, cycling is treated similarly to driving a motor vehicle. There are simply certain rules that apply when you encounter traffic signals. Also, there are designated bike lanes that have given bicycles a safe place to ride off the sidewalks. In addition, there are special rules regarding protective measures that must be taken. Here are the details so that you have not just a great bike ride, but also arrive back home in one piece and ready for your next cycling adventure. Cyclists age 18 and under must wear their bike helmet. Helmets are important for protection against brain injuries. Always use those bike lanes whenever possible. 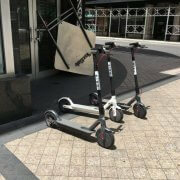 They aren’t yet available in every neighborhood, but they are the safest option a cyclist can use. Ride as far right as you can. This is vital to help maintain traffic. Along with this, the main thing is to be diligent and aware as you ride. Be mindful of side mirrors, tree limbs, parked cars, potholes, and any other obstacles. Hand signals must be used. Using these is mandatory to tell others if you are changing lanes, turning, or stopping. Communicating with other drivers shows respect and encourages them to be mindful of you while you share the road. Left turn: Look behind you and over your left shoulder, if it is safe then simply stick your left arm straight out to the side. Right turn: After looking to ensure safety, hold your left arm out and bend your elbow so that your hand goes up. Slowing/Stopping: Simply extend your left arm down. At night, your bike has to have a bright, white headlamp. It must be bright enough to light the roadway at least 300 feet. If your bike isn’t already equipped with front and rear reflectorized tires, then you must put a white or yellow reflector on each front side of the bike AND white or red reflectors on the back sides. Flashing lights can be acceptable, but a steady light is recommended. All of the above items are absolutely necessary, but we have taken the time to think of a few more things that you might need clarity on. Do you know the correct answers to the following questions? Do bikes also get the right-of-way when it is between them and a car? No. A bike is treated like a motor vehicle when it comes to this, but if you get off your bike and walk with it, then you get the right-of-way. Can you ride a bike on the sidewalk? Cyclists can usually ride on the sidewalk, but they must always give pedestrians the right-of-way. Some municipalities, such as Vista and Carlsbad, are more strict than others, so make sure you know the laws for the area you ride in. Are you required to walk your bike across a crosswalk with pedestrians? You aren’t required, but pedestrians get the right-of-way. If you decide to jump off and walk your bike across, then you get the right-of-way as well. If you get in an accident while riding, can you get a police report? Yes, and you absolutely should get one. Would auto insurance help you recover personal injury damages? Actually, it is a possibility. Check under the motorist provision. Is riding in parks prohibited? All parks have their own rules, but some parks do prohibit bikes, so be sure to check. Can a stoplight detect you on your bike? What do you do if a stoplight won’t detect you? You can treat it as though it is malfunctioning if you have stopped and sat through a cycle or two, but you must remember to proceed with caution. If the light is functioning properly for motor vehicles, then they are less likely to look out for you, so be very careful! 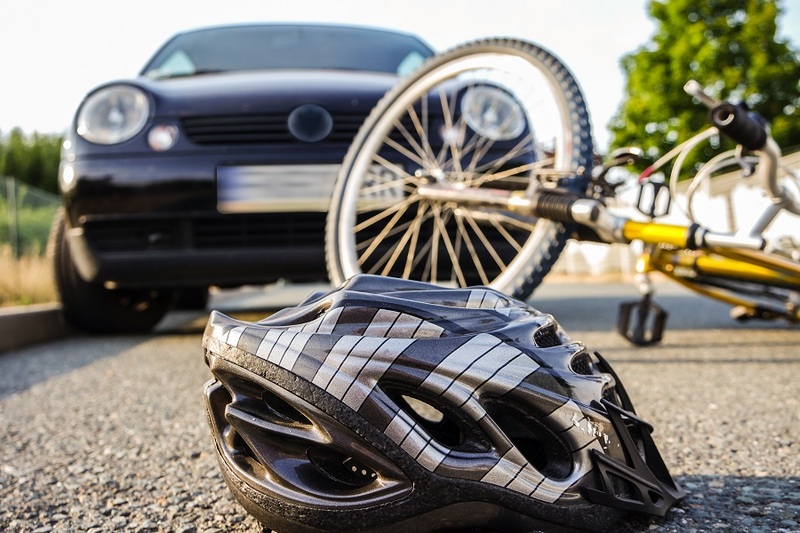 Bike riding can be an enjoyable experience, but it can be dangerous. If you find yourself injured in an accident that you didn’t cause, remember to document the event as best you can. Photographs, medical paperwork, police reports, witness contact information can all be crucially important for your case. Paperwork, deadlines, and legal strategy can get complicated, so you will do yourself a big favor by hiring a lawyer to help you with this. Fred Dudek is an injury attorney in San Diego. 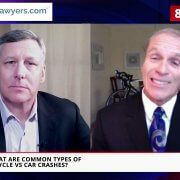 He focuses his practice on helping victims of cycling accidents.